Animal testing for household products still occurs in the UK, and testing for cosmetics occurs outside of the EU. OneKind believes that it is time for this to end and for humane alternatives to be used instead. In 2015, 4.4 million experiments were done on animals in the UK. Some of these experiments would have been done on animals to test household products. For example, in 2014, 138 rainbow trout were used in household product tests . OneKind believes that inflicting tests on animals for non-essential items is unacceptable. It is legal for animals including dogs, rabbits, guinea pigs and rats to be subject to tests of household items. Such tests result in pain, distress, and often death. Furthermore, even if the animals survive the experiment, they are often killed anyway so that researchers can study their tissues. In a report published by OneKind, it was found that the primary purpose of animal testing for household products was toxicity testing .This measures the degree to which something is poisonous, and involves administering chemicals to animals. This can be done through gavage (a long tube pushed down to the stomach), injection, or both. Alternatively, it can be administered to animals through inhalation. Subjecting animals to these toxins often creates horrific problems for the animals. For example, the Anti-Vivisection Society found that, in a Scottish research facility, 10 Sprague-Dawley rats were immobilised in tubes and forced to inhale aerosol spray of anti-fouling paint for three hours . During this test, over 50% of the rats died, and when the test had finished the remaining rats were killed as they were described as being on the point of death. This is not surprising as during the experiment the researchers noted that the rats had laboured breathing from thirty minutes into the experiment, but it was continued for a further two and a half hours. Another issue with using animals for testing household products is that they may not reflect what is safe for humans. It is important to remember that, even though we are all One-Kind in that we are all animals, there are differences between humans and non-human animals that may render animal testing useless. For example, rodents cannot vomit, but have been used in toxicity tests for decades. Furthermore, toxicity tests only expose animals to one chemical, whereas in reality household products contain multiple chemicals. It is therefore likely that side effects of a combination of chemicals are largely undetected by animal testing. Finally, what makes these tests more appalling is that they are done for seemingly novel reasons. There are already numerous household products for sale, and animal testing for “new and improved” products which are similar to those that already exist, is a cruel practice. By EU law, cosmetics or toiletries, or their ingredients, that are sold within the EU cannot be tested on animals. However, this does not stop companies who sell outside of the EU from funding animal testing. This can confuse consumers, as it is not immediately clear whether products they are buying are truly cruelty free or not. Furthermore, it is important to note that some ingredients that are used in cosmetics are also used for household or industrial products, which may be subject to animal testing, as previously described. 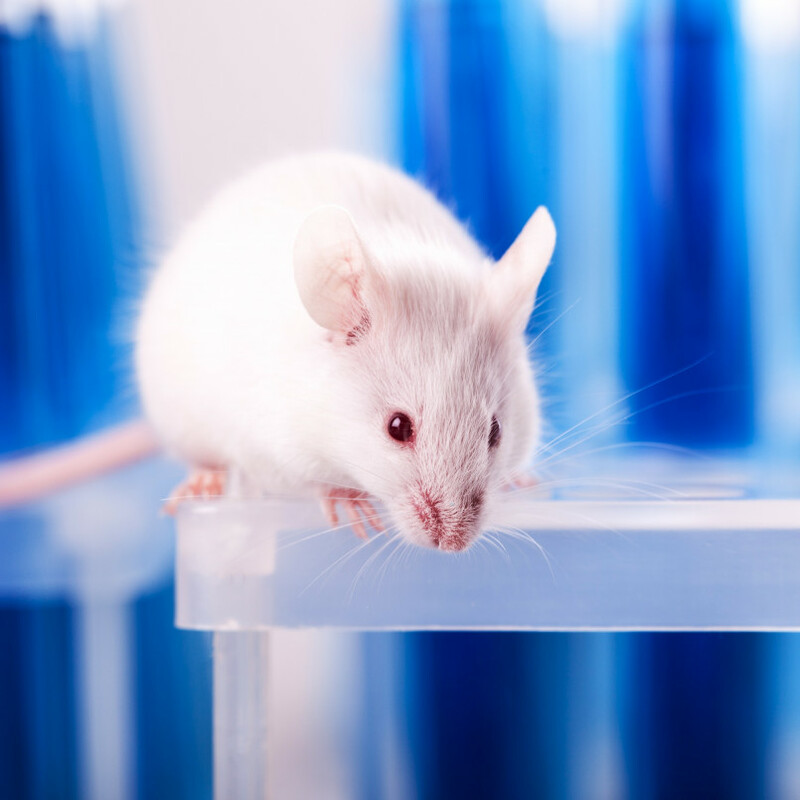 OneKind believes that the Three Rs (reduction, replacement and refinement) should guide all approaches to animal testing, with emphasis on replacement. Whilst in October 2015, the UK government banned animal testing for complete household products, in reality this does little to protect animals. The ban does not exclusively prevent testing on animals for ingredients that will go into household products. Whilst there is a “qualified ban” on ingredients, for chemicals for which more than 50% is intended to be used for household products, it is hard to know what the end use of a chemical will be during the testing stage. Consequently, companies may test chemicals on animals that are not originally intended for household products, but in the final stages they may end up in these products. OneKind therefore believes that companies should be transparent about the use of the final product when applying for licenses to test chemicals. OneKind continues to call for a tighter ban to cover household product ingredients. OneKind believes that there should be increased investment in alternatives to animal testing. Such alternatives include: isolated cells and tissues, computer and mathematical models to predict the effects of chemicals and drugs and designing experiments for human volunteers (for more alternatives see: OneKind’s Household Products Report). One example where alternatives have been used to greater effect is as a replacement of skin irritancy tests in rabbits. These tests are problematic in that rabbits are a poor predictor of human skin irritancy. The alternative that has been developed is an artificial human skin known as Corrositex . OneKind hopes that such alternatives will soon be the norm for testing household products. With reference to testing for cosmetics, OneKind urges consumers to look out for the leaping bunny logo on cosmetics. This represents the global Humane Cosmetics Standard, which guarantees that a product has not used any animal testing for its development. Of course, with Brexit looming, OneKind urges the UK government to ensure that there is no weakening of the laws surrounding animal testing for cosmetics.